Happy Birthday Pecota (And Take That Baseball Prospectus)! I am sure many readers, upon seeing the headline above, expected another post about Baseball Prospectus’ mindless Player Empirical Comparison and Optimization Test Algorithm projection system, also known as PECOTA. In particular, many Yankees’ fans have become addicted to this new fan dangled mathematical formula that seeks to predict the future performance of teams and players alike. I guess I can’t blame them. Any calculation that can get AJ Burnett back down to a 4.50 ERA can’t really be all bad. 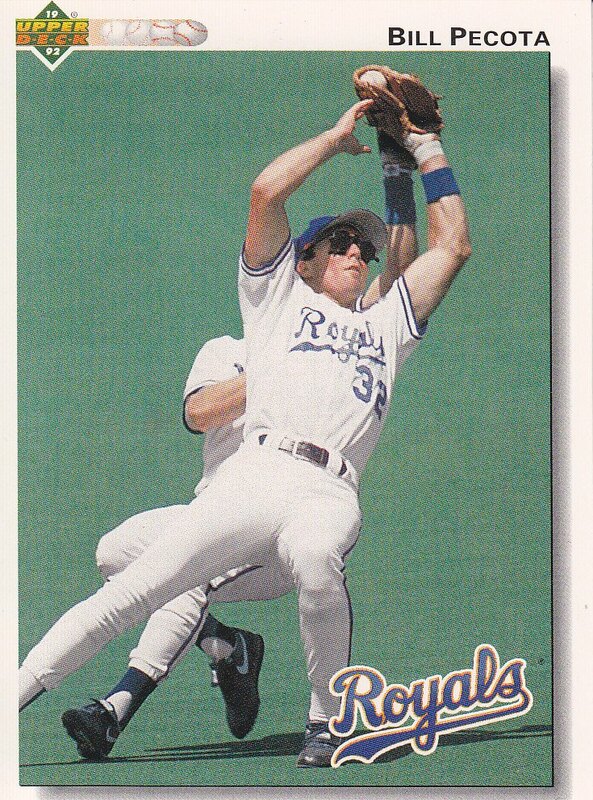 Bill Pecota played for three organizations, but was best known as a Royal. Still, the sabermetric geeks have spent way too much time sucking the life out of baseball…putting statistics ahead of stories in a vain attempt to gain knowledge. After all, what purpose does knowledge serve when watching baseball? No sir. February 16 will not be sullied with talk of WARP and UZR and all the other fancy statistics that no one can pronounce. You see, today is Bill Pecota’s birthday, and even though the projection system that co-opted his name doesn’t think much of this former Royal, Met and Brave, he still has an interesting story to tell. 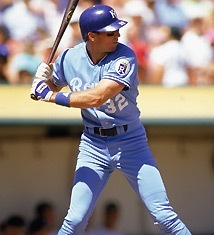 Most people will tell you that Bill Pecota’s only two meaningful seasons in the majors were 1990 and 1991, when he had a WAR of 2.2 and 2.8, respectively, while playing for the Kansas City Royals. That’s nonsense, however. What everyone seems to ignore is that Pecota could play everywhere, literally. Over his underappreciated nine-year career, the utility man played at least one game at all nine positions. People make such a big fuss over Babe Ruth because he could pitch and play outfield, but did you ever see the Babe play 2B or SS? Pecota did!, making him one of only 17 players to accomplish this amazing feat of versatility. Still not impressed? Well, while most other players were padding their stats in the regular season, Pecota was preparing for the month when it really counts: October. Although Reggie Jackson is more commonly known as Mr. October, his .278 batting average and .358 on-base percentage during the postseason pale in comparison to Pecota’s rates of .333 and .500. In fact, in the entire history of the game, only Bobby Brown was able to match Pecota’s outstanding ability to reach base in the clutch. The skeptics will undoubtedly mention that our hero only came to the plate four times in October, but what difference does that make? Small sample sizes are for sissies. Despite all of the overwhelming evidence, Pecota has still been relegated to a footnote all because he shares the name of a computer program. It’s too bad more people don’t value him like the Mets did in 1991, when they traded two former All Stars, Gregg Jefferies and Kevin McReynolds, for Pecota and a throw-in named Brett Saberhagen. So, the next time you feel the urge to confer with a projection system, do yourself a favor and read a good story instead. Who needs PECOTA when you have Pecota? Besides, if you are really desperate for predictions, just keep reading The Captain’s Blog. It has a much better track record divining the future (a dart board beats math any day). I recently discovered wOBA, great stat! wOBA has become one of my favorites because it calculated on an intuitive scale and takes the best of sabermetrics and combines it into one number. I often refer to WAR, but I really have no confidence in the defensive component and some of the other underlying assumptions. I hope no one took this post seriously…humor on the internet can be tricky.